You're here: Prenatal Vitamin Basics » What Are Prenatal Vitamins? This question has most definitely popped into your head if you’re an expecting or future mommy. You might have a basic understanding because it’s a common topic. Yet, the worthwhile answers are sometimes overlooked or just misunderstood. The specifics can be a little confusing! Supplementing with prenatal vitamins has become the standard. But before you do so, it’s important to know exactly what you’re putting in your body and why. What Are Prenatal Vitamins, Exactly? As opposed to your average daily multivitamin, prenatal vitamins are specifically designed for women before, during, and after pregnancy. These are VERY big moments in your life that force some substantial change both physically and mentally. Your body has increased nutrient requirements depending on which life stage you’re in. These vitamins are formulated with the recommended daily amounts for pregnancy, which are different than you’d normally have. Prenatal vitamins help bridge that nutritional gap. However, they aren’t intended to be your main source of nutrition. You shouldn’t solely rely on your prenatal supplement for all your daily needs. It’s meant as that, a supplement. Your daily diet should be filled with a variety of fresh, nutritious foods and plenty of water. Popping a pill won’t make up for a poor diet. The prenatal vitamin acts as a buffer or insurance policy to help keep you where you need to be. 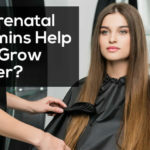 Especially in critical times where a vitamin or mineral deficiency could lead to real problems for both mommy and baby. We answered the question, “What are prenatal vitamins?” and learned what they actually are. From that we know they’re for women who are pregnant, nursing, or are planning on becoming pregnant. But should anyone in particular be taking prenatal vitamins? There are many situations that may influence your need of prenatal vitamins. Some women may benefit from prenatal supplements more than others. Do you have any food sensitivities or intolerances? Like lactose, gluten, eggs, peanuts, soy, fish, etc. Have you ever had weight loss surgery, such as bariatric surgery? Are you a heavy drinker or smoker? Do you follow a heavily restricted diet? Such as from food intolerance, ethical reasons, religious views, or health concerns. You may find that you fall into one, or even many, of these categories. 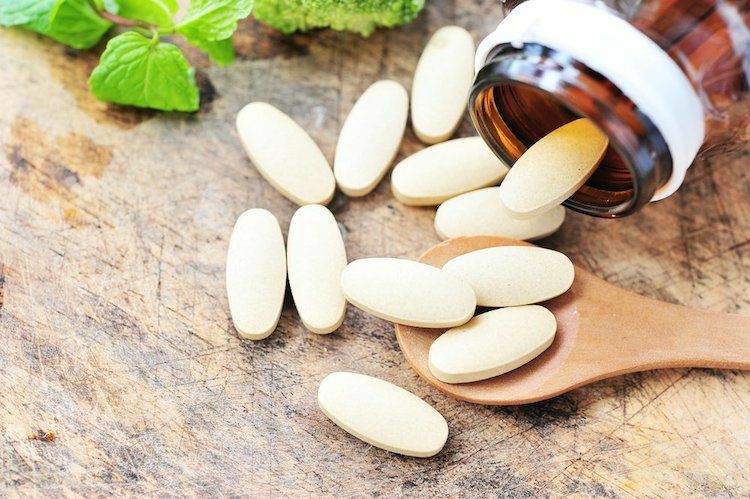 If you do, the main reason you’d benefit from a quality prenatal vitamin is because you may be deficient in certain areas, more susceptible of deficiency, malnourished, or have greater needs of certain nutrients. In general, women who become pregnant are already more inclined to certain types of deficiencies. The most common type of pregnancy related anemia is iron-deficiency. This happens when your body doesn’t have enough iron to make a sufficient supply of hemoglobin. This means your blood can’t carry enough oxygen to all of your bodily tissues. Folate-deficiency is directly related to harmful birth defects like neural tube defects (spina bifida) and low birth weight. A Vitamin B12 deficiency may also cause birth defects like neural tube abnormalities and preterm labor. Talk to your doctor if you fall into any of the above categories. They may recommend a specific prenatal vitamin in addition to a consultation with a dietitian. There are literally hundreds of prenatal vitamins available to you. So much so that it can be a little intimidating when it finally comes time to choose. Luckily, the wide variety allows you to find the perfect fit based on your individual needs. Each supplement is unique in its own way and will have a specific brand formula with different vitamins and minerals. When selecting your supplement, you should be on the look out for a few particular nutrients that are especially important for you and baby. Folate or Folic Acid – Prevents neural tube defects during fetal development such as spina bifida and anencephaly. Iron – Necessary to support the increased need and production of maternal blood volume. Iron also helps carry oxygen throughout your body to your tissues and organs. The extra iron is needed to help prevent iron-deficiency anemia, which is a common deficiency in pregnant women. Calcium – Helps support baby’s bone and tooth development. This mineral also prevents osteoporosis in mommy, since calcium is taken from the mother’s bones and transferred to the baby. Vitamin D – This special vitamin works in conjunction with calcium to help support the normal growth of your baby’s teeth and bones. It’s also necessary for healthy eyesight and skin and helps prevent preeclampsia. Iodine – A mineral that your body needs to make thyroid hormones, which help your body utilize and store energy from food sources. Iodine is vital during pregnancy because it aids in the development of your little one’s nervous system, which includes their brain, nerves, and spinal cord. DHA – This is an omega-3 fatty acid that’s important for baby’s growth and development. It helps support the baby’s eyes and brain. DHA also safeguards mama from perinatal depression. We just mentioned DHA as one of the more important nutrients to pay special attention to. But there are a few more things I want to bring out about it. So, let’s dive a bit deeper into DHA. DHA stands for the super long name docosahexaenoic acid. It’s an omega-3 fatty acid that’s super special for both baby and mama. In addition to benefitting the baby’s nervous system, it’s also associated with higher birth weight and a lower risk of pre-term delivery. Our body doesn’t naturally produce DHA, so it’s necessary that we get it from our food or supplements. Unfortunately, not all prenatal vitamins contain enough or any DHA in them. Prenatal vitamins are only so big, so they can’t fit every nutrient under the sun in these tiny gummies or capsules. The recommended daily amount for omega-3 fatty acids is 650 mg (milligrams). It may be beneficial to even get 800 mg per day. 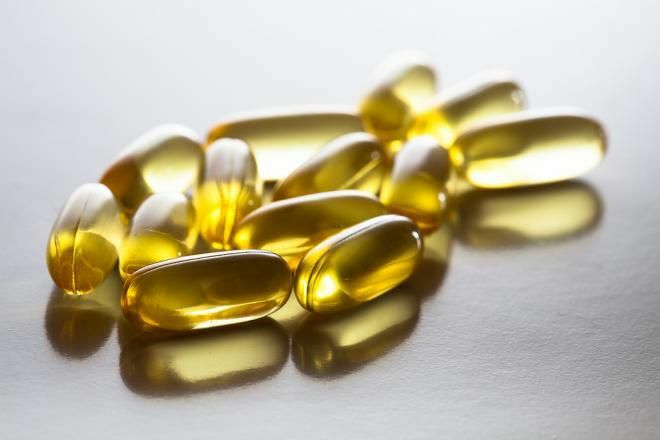 You may have to take a separate supplement specifically DHA to get your daily dose in. It’s important to ALWAYS check with your physician first before taking or suggesting any new supplements. Another note is that fish are the riches sources of omega-3 fatty acids. There are a few potential concerns with this. The first is certain fish contain high levels of mercury, which are to be avoided when you’re pregnant or breast-feeding. High levels of mercury can be toxic to the nervous system and negatively impact both mama and baby. Despite this, the United States Food and Drug Administration (FDA) recommends that women who are pregnant, breastfeeding, or plan on becoming pregnant consume more fish. This seems counterintuitive but it shows you how necessary those omega-3 fatty acids are. The FDA recommends eating 8-12 oz of fish low in mercury every week. That’s about 2-3 servings of fish per week. They suggest fish with lower mercury levels like salmon, shrimp, cod, tuna (canned-light), tilapia, and catfish. Don’t eat more than 6 ounces of white albacore tuna per week. So, in this case, it’s important to get your daily DHA with supplements AND real food. However, supplements may be your saving grace if morning sickness refuses to let you anywhere near fish, let alone eat it! Nutrient Overdose: Too Much Of A Good Thing? They’re extremely beneficial boosts to your daily diet to help sure up any potential nutritional gaps. Prenatals are a whole lot of good! But can we get too much of a good thing? There are certain nutrients that can cause serious or even life-threatening side effects to you and baby. You can experience an overdose from excessive amounts of some vitamins and minerals. It’s important to educate yourself on the Recommended Dietary Allowance (RDA) and the Tolerable Upper Intake Levels (UL) for vitamins and minerals during pregnancy. The RDA is the amount needed to sustain proper health. The UL is the highest amount individuals can take without experiencing potentially adverse side effects. Also, know the common units of measurement. Mg stands for Milligrams, which in the metric system, 1,000 milligrams = 1 gram. Mcg stands for Micrograms, which in the metric system, 1,000 micrograms = 1 milligram. Where Should You Buy Prenatal Vitamins? There are two main ways you can buy your prenatal vitamins. One way is through your doctor. Your doctor will assess your individual needs and circumstances and give you a prescription for a specific prenatal supplement. They may also have a generic or over-the-counter (OTC) recommendation that you can purchase on your own. OTC is the second main way that you can buy your prenatal supplements. You can buy prenatal vitamins almost anywhere! They’re available at your local grocery store, big-box stores, health food or specialty stores, and of course at online retailers. So, where should you buy your vitamins? It’s always best to consult with your doctor first and get their professional opinion. There are definitely plus sides to getting a prenatal prescribed to you. For one, prescription brands are usually more potent and contain higher amounts of nutrients. Two, you can be confident that the prescription brand is reputable and you’re getting a quality supplement. 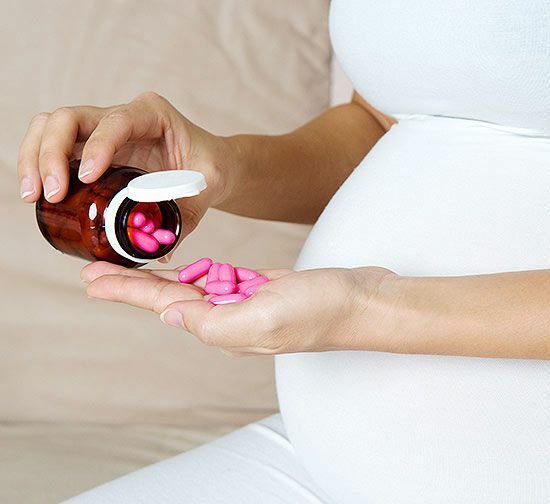 Three, some insurance companies cover most or all of your doctor-prescribed prenatal vitamins. On the flip side, there can be some negatives of prescription prenatals. Some women have a hard time tolerating these formulas since they have a higher concentration of nutrients. You may experience negative side effects such as constipation and nausea. These symptoms are not fun, but they can be managed. 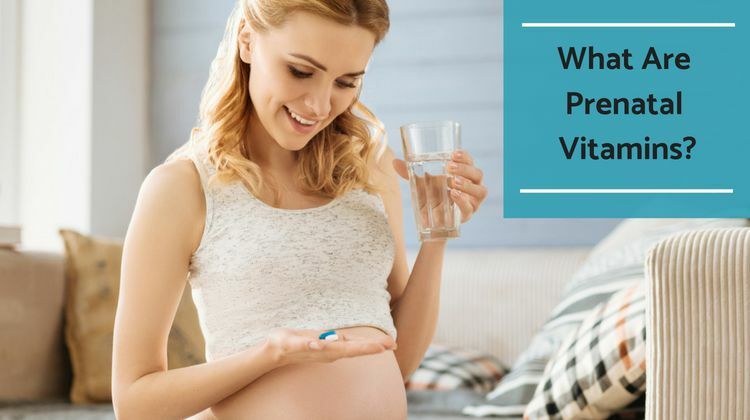 If you need some tips and tricks to help with this matter, bounce over to our recent blog post, “Common Prenatal Vitamin Side Effects & How To Treat Them”. Prenatals are pointless if you can get or keep them down! If you have limited insurance or don’t have it at all, prescription formulas are going to be very expensive. This is why many mamas opt for OTC vitamins. An Rx can be anywhere from $60 or more per month compared to about $30 or less for OTC brands. You can still get fantastic, high quality OTC prenatals. Just make sure you stick to reputable name brands and do your research beforehand, along with utilizing any and all information that your doctor gave you. We’ve covered all the basics of what are prenatal vitamins. Now, you’re ready to start searching for and selecting your very own prenatal supplement! We have a few last tips that may help you in this process. Of course, before you deep dive into the web looking for vitamins to buy, you need to consult your doctor. Your doctor is always going to be your first line of command when it comes to prenatal care. Don’t be afraid to ask them questions and inquire for their professional recommendations for all things baby. This is especially true if you fell into any of the previously mentioned categories such as if you’re pregnant with twins, have a digestive disorder, food allergies, restricted diet, or had weigh loss surgery. So, when picking out a prenatal, make sure you take into account the special nutrients that we talked about like folate, iron, calcium, and vitamins E, D, K, and B12. Keep a watchful eye on UL limits so you don’t exceed the maximum levels. This will help ensure you safely avoid any negative side effects. Whenever possible, opt for whole-food, organic supplements that have the USDA seal, as opposed to synthetic versions. This helps optimize natural absorption and minimize icky additives, fillers, and chemicals. You’re also not limited to just one kind of supplement, explore all the different types of prenatal pills and find the one that works best for you! 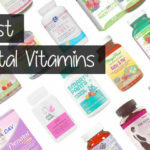 This is an absolutely remarkable time and you and baby will be set up for optimal health and success with a little help from your perfect prenatal vitamin!